We have a bit of an epidemic in our house. I find them everywhere, there doesn’t seem to be a way to get rid of them, and just when you think you have them all cleaned up, you find five more! But, despite the fact I always seem to find them everywhere, there never seems to be enough when you need them. During one of our family nerf gun fights, I was out of ammo, so I ran into the bathroom and shut the door. I called out, “I need more ammo!” in the hopes that Malcolm would bring me some. Well apparently he learns quick. 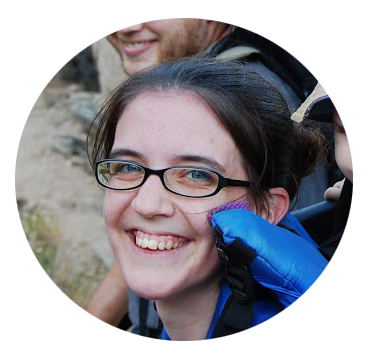 At the start of our next family nerf gun fight, he ran into the bathroom, shut the door, and started yelling, “I need…more…ammo!” We started laughing, and my husband said he thought Malcolm was learning from my strategies a little too well. Needless to say, nerf guns are one of our favorite toys around here. 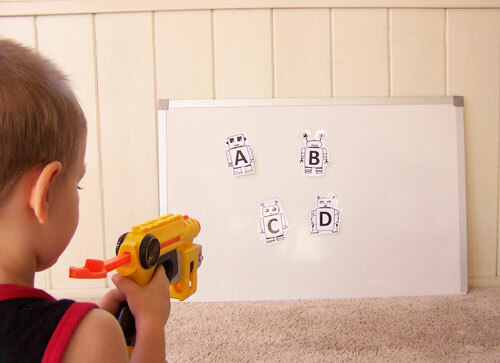 I thought it would be fun to incorporate nerf guns into our learning time. When my oldest started learning some words, we wrote them on paper and drew pictures of what the word was. I taped them up to our sliding glass door, call out a word, and we would fire darts at the right words. Of course Sean thought this was awesome, but he was still learning his letters. 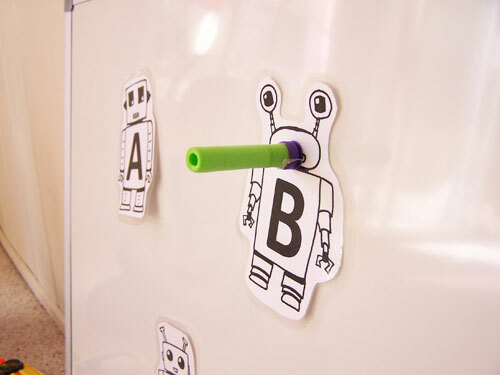 I whipped up some cute robots with letters for him to shoot at. He was so excited! 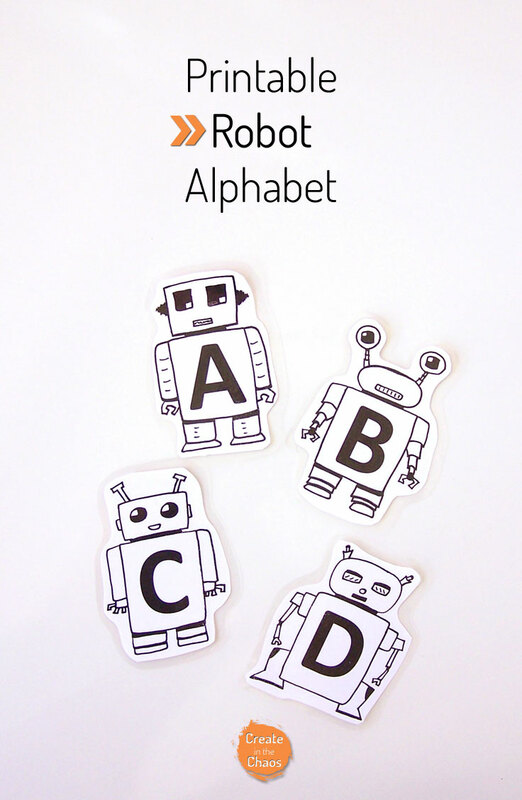 Download the free robot alphabet here. I included some blank ones if your kiddo just wants to have fun coloring some. I printed mine on cardstock and then laminated them. 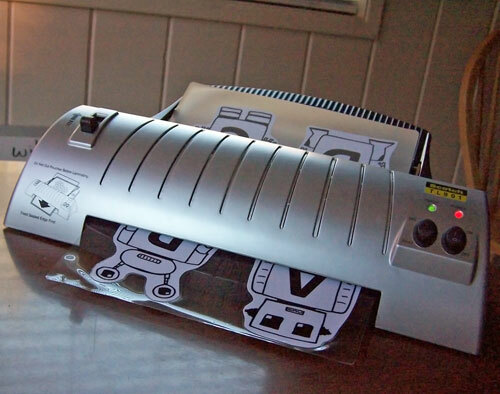 I love my laminator – it does a great job, and has held up after a ton of use. Tape up the alphabet somewhere. Sometimes we use our big glass door. But we also like to tape them up to our whiteboard. 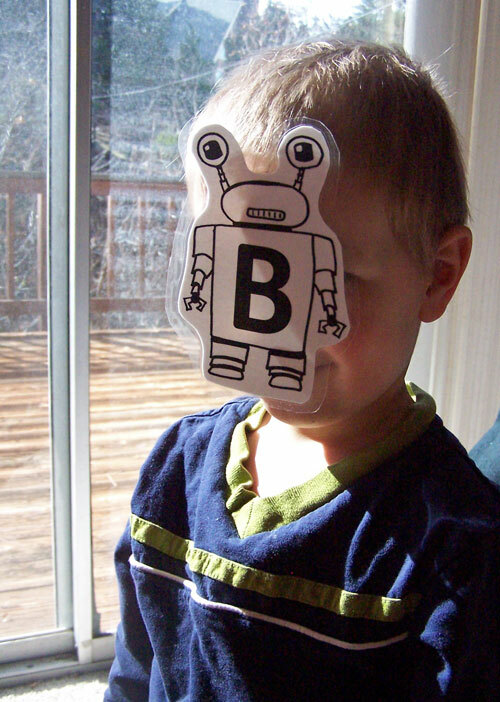 Call out the letters (or the letter sounds), and have your kiddo try to hit them. Other options: Being ridiculously cute and silly like this little guy. You can also use these guys to build words or just to color. 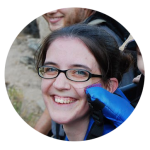 There are lots of fun possibilities! 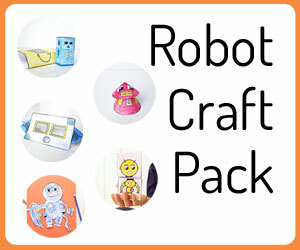 Enjoy the free printable robots. 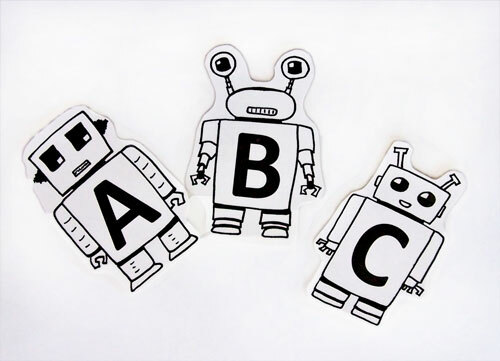 What are you going to use these alphabet robots for? These are adorable! Pinning and sharing on my Facebook page today!